Reconstruction of the damaged Municipal building. This aims to benefit the disaster-affected sectors particularly local government officials and employees, and the transacting public. 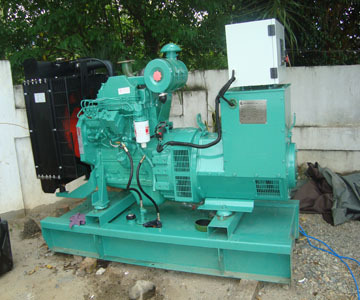 Acquisition of Generator Set with Powerhouse. 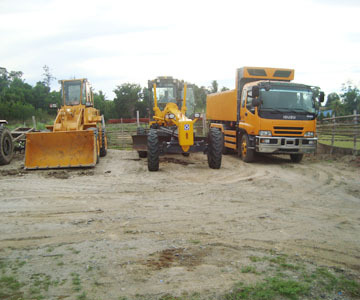 Acquisition of brand new Heavy Equipment which includes one road grader, one wheel loader and one 10-cubic meter dumptruck. 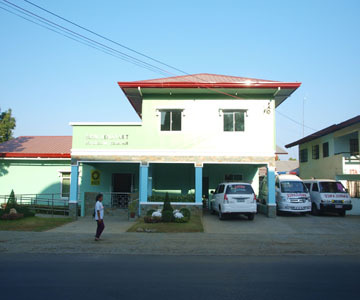 Reconstruction of 2-storey Rural Health Unit, with purchase of additional medical equipment and apparatus. 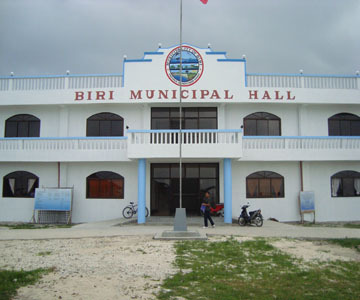 Resettlement of families from different barangays affected by floodings during typhoons. The Project consists of Site Development and purchase of 4.8-hectare lot, where the core shelter will be constructed. 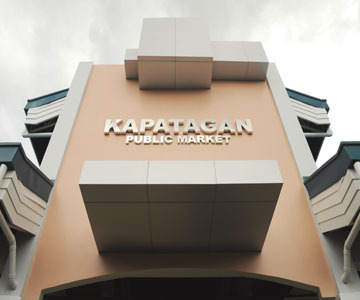 Construction of a one-storey reinforced concrete Public Market building that will accommodate 177 stalls. 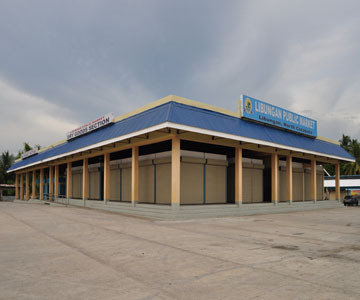 Construction of three single-storey reinforced concrete buildings with a combined floor area of 2,548 sq. m. that can accommodate 126 stalls and the completion of unfinished 2-storey reinforced concrete building, approximately 546 sq. m. that can accommodate an additional 12 stalls. The proposed subproject is rehabilitation and improvement of the existing water supply system, which consists of source development, and provision of one (1) intake tank and a reservoir. This also includes installation of approximately 49km main transmission pipes, re-piping of distribution pipes to change the worn-out connections, water treatment and fire protection facilities with necessary appurtenances such as fire hydrants, valves and fittings, etc. 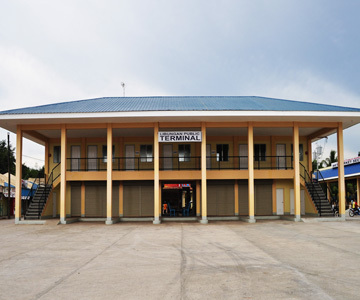 Main terminal building for buses, jeepney and multicab. 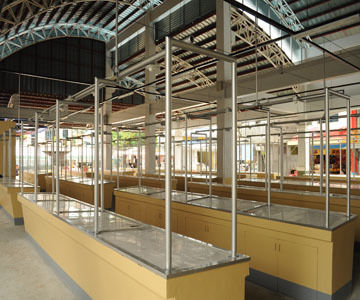 It also has waiting shed for vans, and has 36 concessional stalls. Construction and rehabilitation of 1 unit, 3-storey Provincial Hospital. Public memorial park consisting of 2,136 burial lots. The 10.2 hectares Engineered Sanitary Landfill went into full operation in 2008. The landfill can accommodate 250,000 tons of waste for a span of 15-20 years. 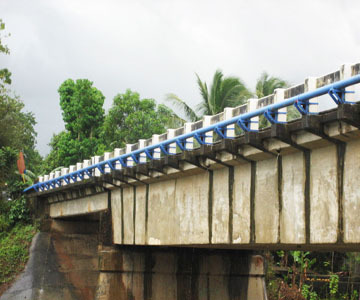 Construction of 516-linear meter zigzag Seawall with Hexapods. Construction of a two-storey School Building consisting of 14 classrooms and other functional rooms and support facilities. Construction of Seawall and Foreshore Development Phase II. This includes a 670-meter seawall from Tomas Claudio St. to M. Velasco St., concrete benches, plant boxes and coconut palm trees, lighting facilities, and others. Construction of 400-linear meter river wall protection on sheet piles and gabion matress. Construction of Conference/Multi-Purpose Hall, 2-Storey Lodging House, swimming pool, and others. Ambulance Vehicle with complete medical accessories. 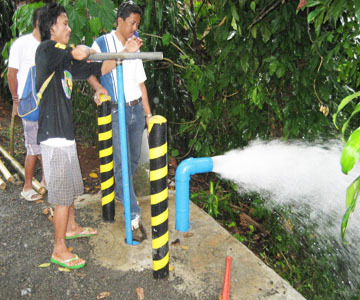 Construction of a Water Treatment and Refilling Station that will cater to the demand of the provinces of Leyte and Southern Leyte. It has a capacity of 6-gallon per minute or 22.5 liters per second with a maximum production of 5000 bottles per day for a 1-liter, 500 ml , 250 ml and 100 ml bottled container. Construction of a 2-storey Rural Health Center.